Landscaping with Native Plants. MNPS publication. 1.4 MB pdf file. This list includes growing conditions as well as notes on wildlife and pollinator values. 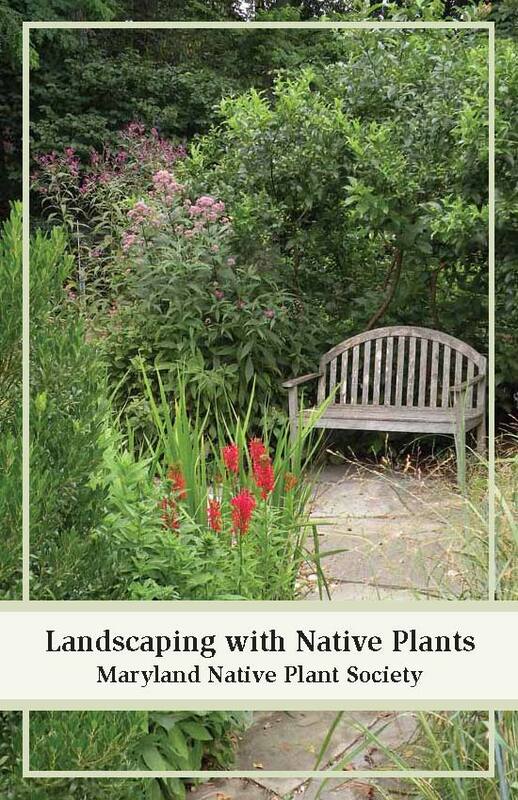 Native Plants for Wildlife Habitat and Conservation Landscaping, from the U.S. Fish and Wildlife Service, and available for sale from MNPS provides excellent information to help you choose the right plant for the right place. The MNPS Shoppers Card to use when shopping for plants for the garden. What Native Plants Should I Plant? A common question, without an easy answer. Green Landscaping: Greenacres, from the Environmental Protection Agency. Maryland's Wild Acres, from the MD Department of Natural Resources Wildlife and Heritage Service, with links to wildlife fact sheets and suggestions for creating backyard habitats. Maryland Tree Expert Law. All tree care professionals practicing in Maryland must obtain a license to practice or advertise tree care services in the state. Please check their license before you employ them. Maryland's Invasive Species Laws including the restrictions on sale of certain invasive plants. Noxious Weeds in Maryland. Maryland's Weed Control Program enforces management of noxious weeds on all types of lands, including yours. Learn to recognize and removed these pests. Live in Maryland? Visit the Marylanders Plant Trees website for information on getting a coupon for purchase of a tree.